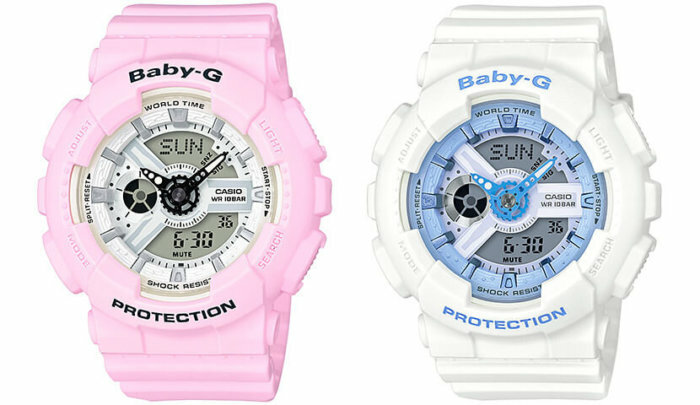 Casio America is releasing the Baby-G BA110BE Beach Color Series in May 2017 which includes the pink and white BA110BE-4 and the white and blue BA110BE-7. The bright white and soft pastel colors are inspired by the look of a vibrant beach landscape under the sun. These subtle color schemes are appropriate for everyday wear during the summer months and the watches are suitable for water sports and activities. 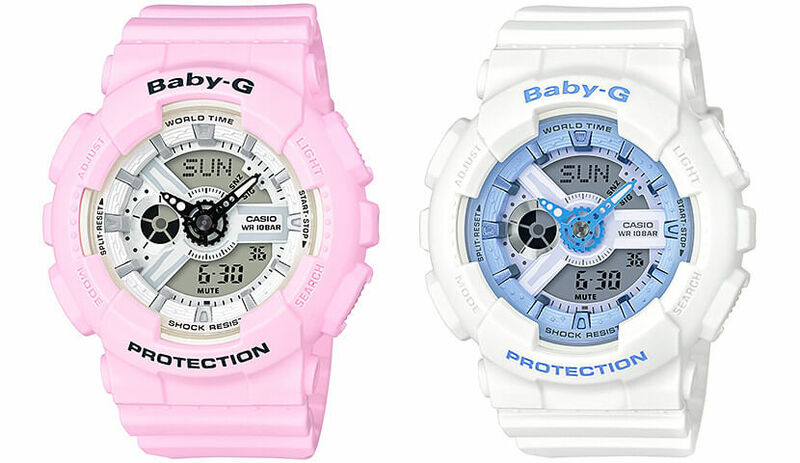 The Baby-G BA110BE series features shock resistance, 100-meter water resistance, world time with 48 cities and UTC, 1/100 second stopwatch (24 hour with split), countdown timer (24 hours), 5 daily alarms including 1 snooze alarm, and LED light with afterglow. List price is $120 USD each.